10-YARD FIGHT NES Nintendo Game 5 Screw Cleaned/Polished/Tested Works Great! 10-Yard Fight for Nintendo NES - 5 screw - cart only - cleaned tested works! 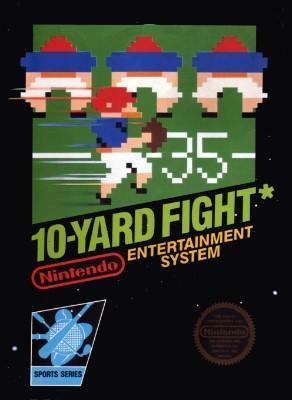 10 Yard Fight 5-Screw Version Nintendo NES 8-bit GAME ONLY Tested and Works!! !